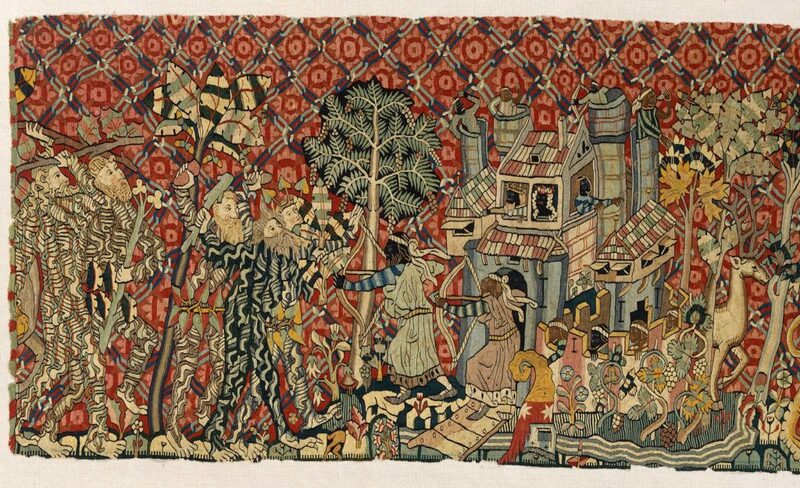 Alain Chartier’s Le Quadrilogue invectif in England and Scotland: Diplomatic Affect and the Peaceable Conscience. “[que] vos ditz gardiens del passage de Douere nous soeffrent passer…”: Late Medieval Englishwomen’s Francophone Culture. Anglo-French: a translatable or untranslatable zone? 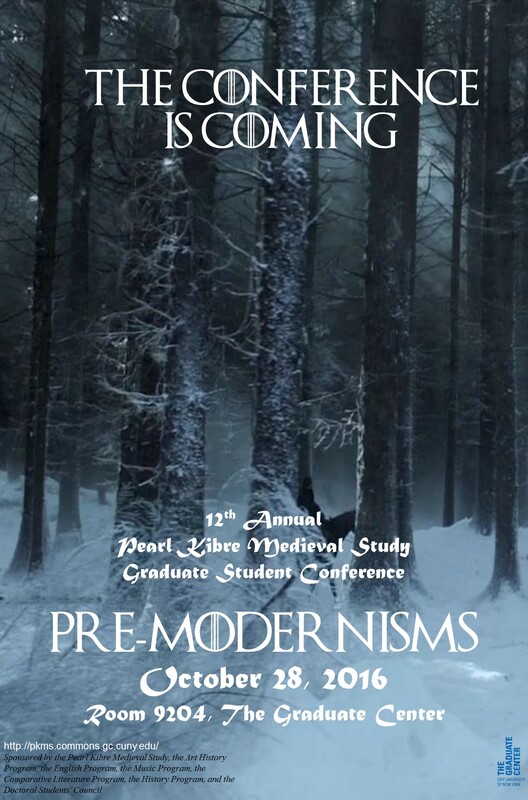 Please send abstracts of 250 words to pkmsconference@gmail.com by December 31, 2017.
and click on the Medieval Graduate Student Conference. 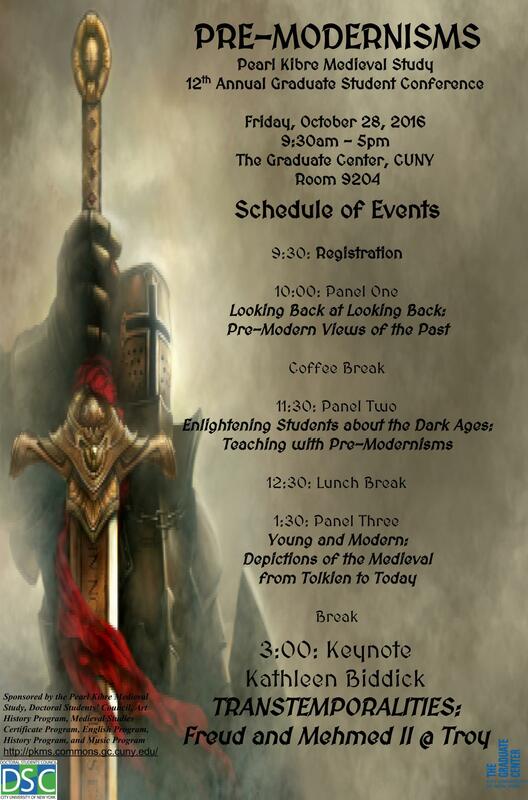 We are pleased to announce the schedule for the Pearl Kibre Medieval Study’s upcoming annual graduate student conference, “Sanctity and Sinfulness: Hagiographical Studies in Memory of Thomas Head.” The conference will be held on Friday, February 26 from 10:30 a.m. to 4:00 p.m. in Room 9204 of the CUNY Graduate Center. 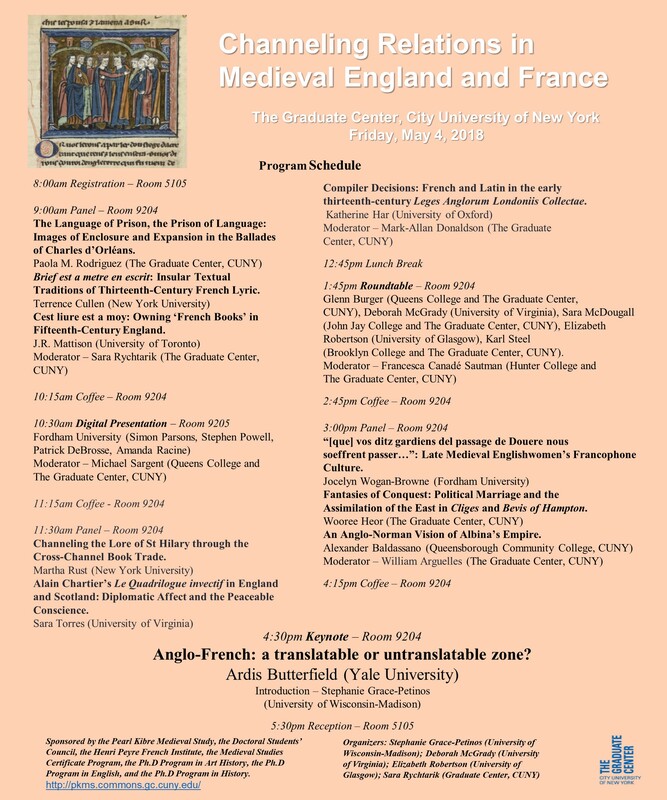 This event is co-sponsored by the Pearl Kibre Medieval Study, the Doctoral Students’ Council, the Medieval Studies Certificate Program, the Henri Peyre French Institute, the French Department, the English Department, the Comparative Literature Department, and the Music Department. 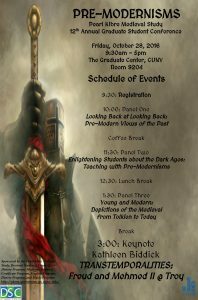 Friday, February 28: 10:30 a.m. to 4:00 p.m.
with the generous support of the Doctoral Students Council, Henri Peyre French Institute, Medieval Studies Certificate Program, and History, English, Music, Art History, Philosophy, and Theatre departments. 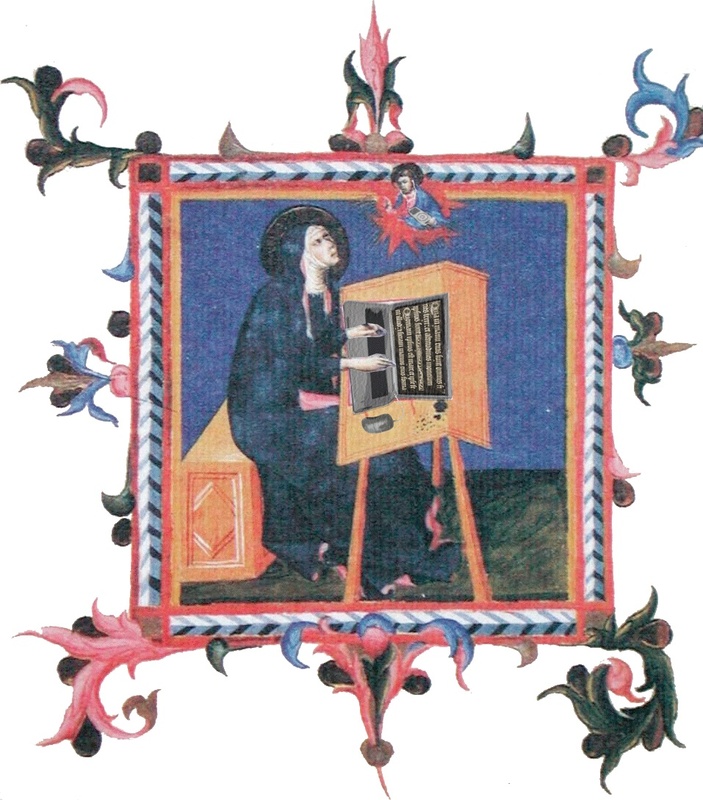 with the generous support of the Graduate Center Digital Initiatives, Medieval Studies Certificate Program, Doctoral Students Council, and Art History, History, English, Music, and Theatre departments.